There are hundreds of expletives in the English language (a language I’m proficient in), and there are at least 100 more in Afrikaans (a language I’m less proficient in). My knowledge of this spectrum of expletives is rather extensive. I’m fairly certain the child in the apartment next to mine learnt all the naughty words I know during the time it took me to install the Cooler Master MasterLiquid Pro 120 liquid cooler. So how and why did I spend an hour teaching the child next door the finer points of the proper pronunciation of the word *******? The answer is simple. 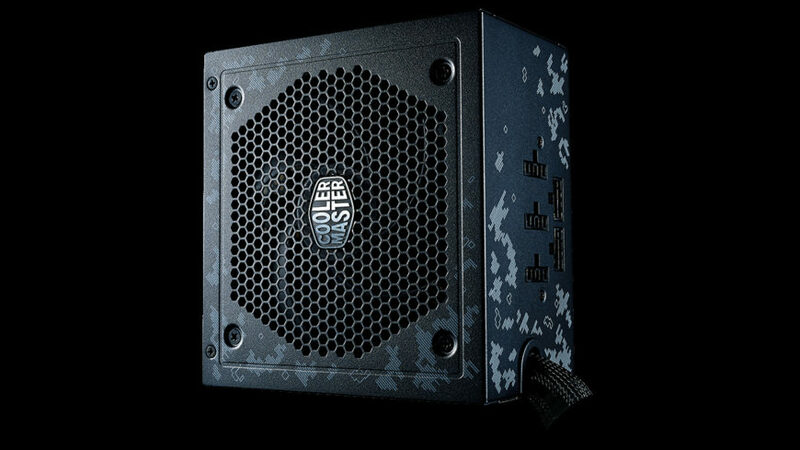 The Cooler Master MasterLiquid Pro 120 is a mission to install in a compact mid tower like my NZXT S340 Razer Edition chassis. My initial plan was to fit the cooler to the front of the chassis. NZXT suggests mounting 120mm radiators in the rear and 240mm radiators in the front, but I’d already removed my Corsair H100 from the front, and I’m lazy. This plan proved fruitless, as the rigid pipes of the MasterLiquid Pro 120 are unyielding. I couldn’t twist the pipes the way I needed to in order to fit the cooler in the desired location. So I moved on to Plan B – mount the radiator at the rear of the chassis. The fates must hate me, because while the radiator could be mounted with the fans connected in a push-pull configuration (one on either side of the radiator, blowing air in the same direction), the size of the CPU block (which houses the pump) prevents this in such a small chassis. Unlike other all-in-one liquid coolers, the MasterLiquid Pro 120’s CPU block is rather pronounced, making clearance an issue. In the end I resorted to laying my chassis on its side with the cooler sitting outside. While the installation of this cooler left me with a fiery temper, the packaging and contents of the box did not. Cooler Master puts all the screws and other little pieces in a reusable plastic tray, with a separate indent for each piece. This makes looking for the desired screw easy and removes some of the hassle of installation. The installation guide is also very simple, ideal for those who’ve never installed a water cooler before. Setting aside those installation shenanigans, the MasterLiquid Pro 120 delivers impressive performance. My testing regiment was simple: let the machine idle in Windows for an hour, record the temperature, and then run Prime95 using the Small FFTs preset in an effort to generate as much heat from the processor as possible. After an hour, record the temperature again. To gauge how good the MasterLiquid Pro 120 is, I compared it to Intel’s stock cooler, my aging Corsair H100, and the Cooler Master MasterAir 8. Adding the Intel cooler into the mix gives us a good indication of how poorly the stock cooler performs, even when trying to keep an i5-6500 cool. This mid-range processor only has four cores, but the stock cooler is barely able to keep it under 75 °C. 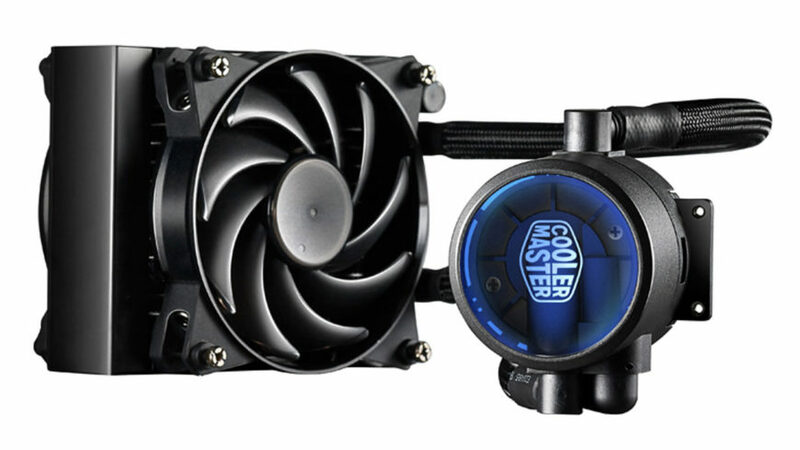 The MasterLiquid Pro 120, meanwhile, is able to match the H100 (a cooler with a 240mm radiator) at maximum temperatures, but the MasterLiquid Pro keeps things cooler when the system is idling. 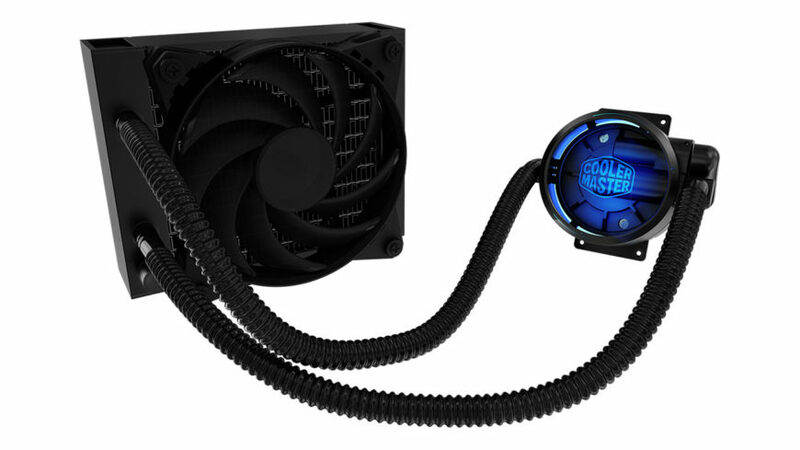 The MasterLiquid Pro comes with two Cooler Master MasterFan Pro Air Balance 120mm fans, which stole the show. These fans proved to be quieter than the Noctua NH-F12 fans I have on the H100 while delivering higher static air pressure when in Performance mode. 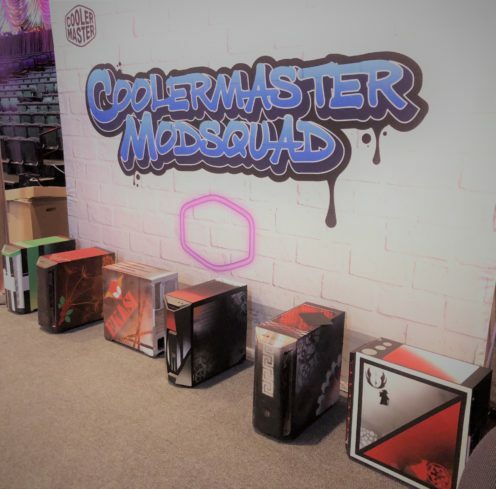 Cooler Master has three fan models in its MasterFan Pro range: Air Flow, Air Balance and Air Pressure. The Air Balance strikes a nice median between the two other models, offering good air flow and static pressure. All three models feature three modes: Performance, Quiet, and Silent. These modes can be selected via a physical switch on the fan. As frustrating as the Cooler Master MasterLiquid Pro 120 cooler is to install, it nonetheless delivers stellar performance. 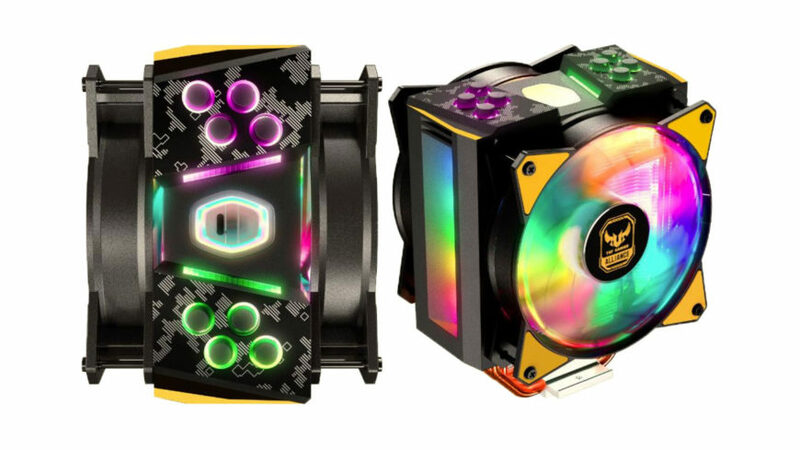 The pump is pleasantly quiet and, as the figures reveal, the design of the large CPU block is effective at removing processor heat. 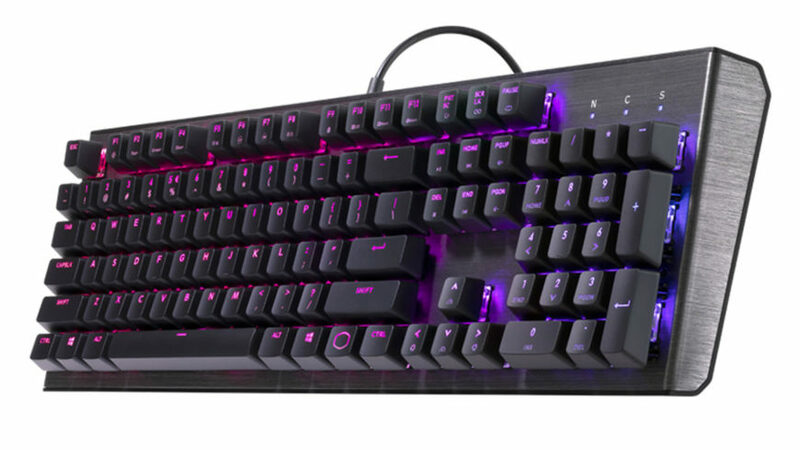 Overall, the Cooler Master MasterLiquid Pro 120 is an excellent cooler, which is a good thing because its price tag means that its direct competition is the Corsair H80i GT. To top it all off, Cooler Master will even ship you an AM4 bracket if you’ve chosen to adopt Ryzen. 8.5This is an excellent cooler with fantastic fans. 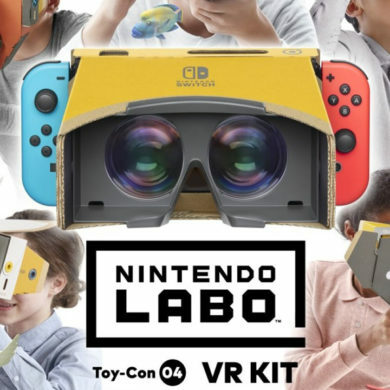 Just don’t install it in the presence of impressionable children.